Where from you want to go? 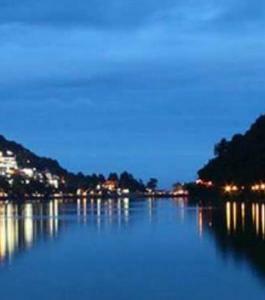 Haridwar -Rishikesh - Nainital - Raniket -Almora - Kausani, JIm Corbett. 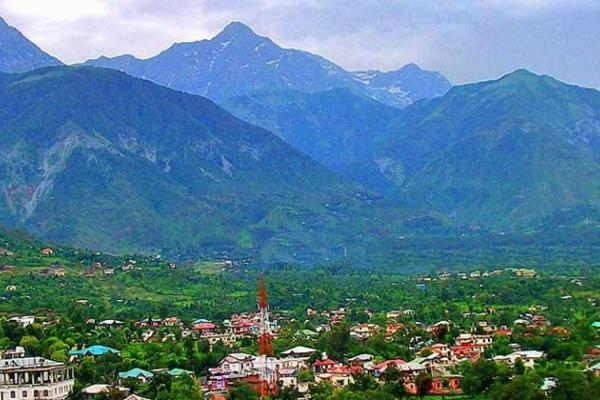 ISummer King Manali is located at the posh & pollution free area of Manali at Left bank Manali ..
HM Krishna Vaas Shimla is located at the posh & pollution free area of Shimla, at in Upper ..
WE STRIVE TO PROVIDE IMPECCABLE SERVICES TO OUR TRAVELLERS. 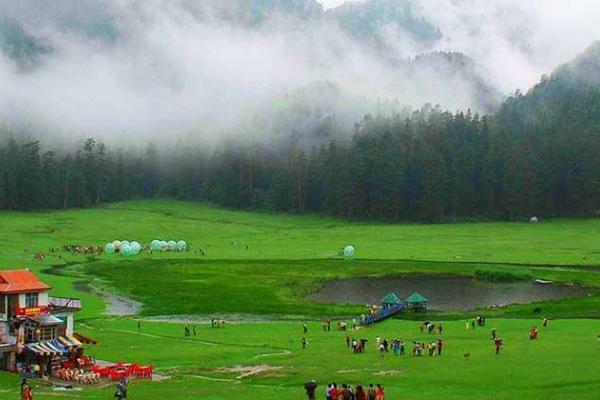 YOUR VALUABLE FEEDBACK ON HIMACHAL TOUR PACKAGES | SHIMLA TOURS | MANALI TRIP AND CUSTOMIZED TOURS CAN HELP US IMPROVE IT FURTHER. SHARE YOUR TRAVEL EXPERIENCE POSITIVELY AND KEEP A TRANSPARENCY ABOUT IT. 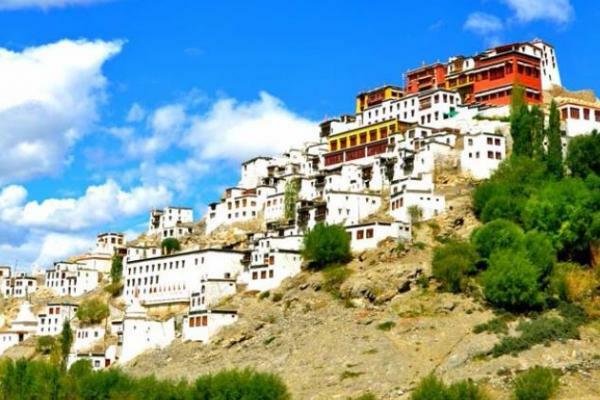 "We would like to thank Himalayan Mysteries team for our complete Himachal Tour Package they offered to Us, Specialty Shimla & Manali Tour Packages with complete HOtel Bookings, Adventure activities & Car rental services for Himachal And in future also we are planning for Leh Ladakh tour .."
"It was a nice trip which we have enjoyed. The best part was the co ordination which Ms. Kiran had done for us in terms of Hotel, Transportation. we are gratefull to Ms. Kiran & Team for their wonderful efforts for making our trip(Kullu Manali) enjoyable. Good Job .."
Rewa Sharma (Mumbai, India) . 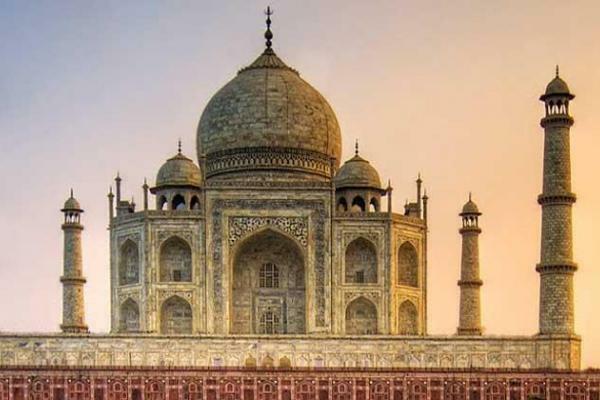 "Hi Sanjeev ji,It was Awesome tour in my life only bcoz of you and your company.They have given me good facility like hotel Jain Cottage,cabs everything. 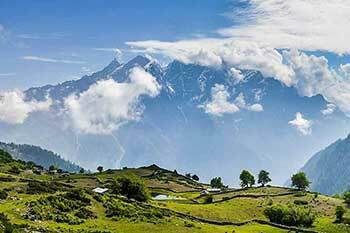 i will recomended to every one whenever go to Himachal Pradesh tour take package from himalayan mysteries thank you HIMALAYAN MYSTERIES... every .."
"HI MONIKA Great trip. Monika arranged everything from Hotel reservation to transportation and trip very well planned. 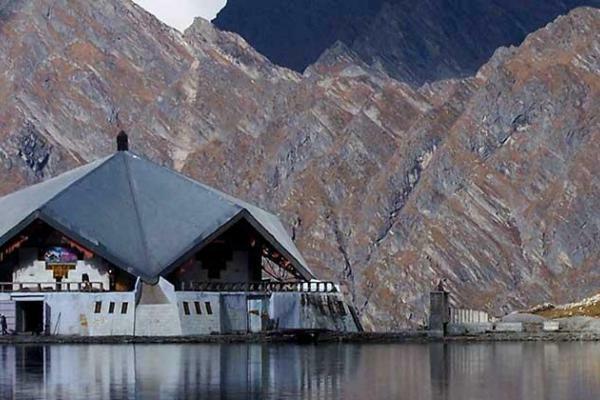 so Himalayan Mysteries is a very good tour & travel company in Himachal. Overall a wonderful trip, special appreciation to Monika for nice .."
"Ms Geet Sharma and Mr.Sanjeev Bhardwaj. It was an exceptionally memorable tour. 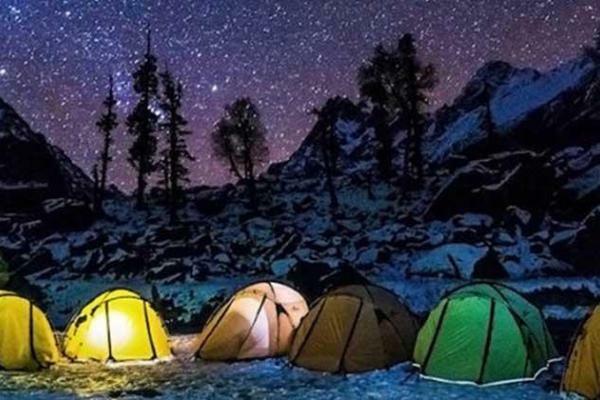 Himalayan mysteries endow with eminence .."
"Trip was Good. Thanks Geetha Sharma ji from HIMALAYAN MYSTERIES. . We have enjoyed .."
"As it was my honeymoon trip, i was a little apprehensive initially. But as the trip progressed all my fears were allayed. Everything fell wonderfully into place. 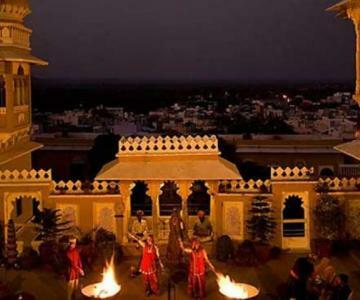 All the arrangements were perfectly in order and most importantly my travel agent was in constant touch enquiring if everything was in .."
"me and my friend enjoyed a lot in this trip..its totally good more than we expect... and the jain cottage employess are very friendly, and they are very caring... Gratitude for u GEETHANJALI SHARMA,and if we think about manali and shimla tour package in future, geethanjali will come t our .."
"It was exceptional memorable himachal tour. Himalayan mysteries hospitality was awesome with eminence services. My heartly wishes to Ms Karampreet kaur and Mr. Sunil Sharma who with their guidence made my trip a memorable .."
"I and my friend enjoyed a lot in this trip.It was a nice trip which we have enjoyed.so Himalayan Mysteries is a very good Himachal tour & travel company.Overall a wonderful trip, Monika ji made nice .."
"the Himachal tour was wonderful with proper guidance from the staffs... had a great experience roaming around the most of Himalayas.... We appriciate Pooja Ji who planned the trip for us and making it a wonderful moment for us.... hope to see u guys .."
"It was a great trip.My transportation and the hotel arrangement was perfect and up to the mark.I really appreciate the hard work of Monika.It was a rememberable trip with a happy .."
"This was my first ever 10days trip in my life. This team provided very good accommodation, pick up and drop service in a very cheaper rate. Staff was really friendly and made my tour really memorable. Thankyou for .."
"We really enjoyed our honeymoon. Accommodation, Travel Service and People were awesome. Himalayan Mysteries. Mr.Sanjeev Bhardwaj/Pooja Bhardwaj made it .."
"Overall Good service provided. Maintaining good communication response during the entire tour. Hotel accommodation in "ROYAL REGENCY" was quite good, respect to their service, well disciplined and cooperative .."
"me and my friend enjoyed a lot in this trip..its totally good more than we expect... and the Manali Hotel Staff are very friendly and cooperative and they are very caring...also shimla Hotel Achaman Resency Facility little poor but its ok.. Miss Geetanjali Sharma is very cooperative and .."
"Overall Good service provided. Maintaing good communication response during entire tour. Hotel accommodation in "Hotel Himgiri" was quite good, respect to their service,well disciplined and cooperative staff.Geetanjali sharma And Himalayan Mysteries your services are worth 5 .."
"My family enjoyed the trip. The tour was wonderful. The hotel accommodation & dinner in Jain Cottage (Manali) was good. Overall good service provided. Geetanjali sharma for nice arrangement and Himalayan Mysteries.It was a rememberable trip with happy .."
"This 9 days tour was memorable in our life. Miss Sujata Verma very nicely planned outr tour in our budget .The accomodation and food at all the places was very good. Vicky was also very helpfulduring journey. The tour was excellant organised by Sujata Varma and her team and this himalayan mystries .."
"We really enjoy our group tour for 7n/8d Himachal. All accommodation-room service-food are good. Only at Shimla hotel Malhotra bridge view supply limited breakfast. Mr.Sanjeev Bhardwaj...and Pooja managed our tour superb and call time to time during .."
"My allover experience was good and satisfactory. Every service provider was up to the mark. 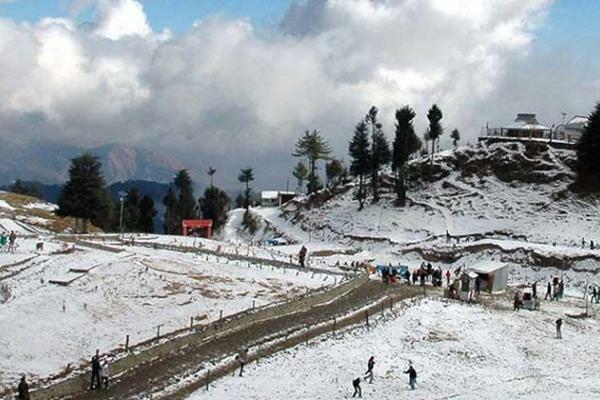 Will like to go again with you services.Himalayan Mysteries team is perfect tour .."
"The Himachal tour was wonderful. 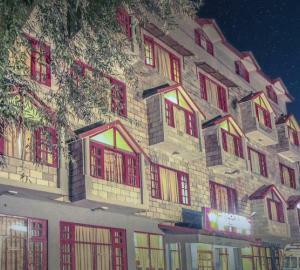 The hotel accommodation & dinner in ROYAL REGENCY (Manali) was good. Overall good service provided. Geetanjali Sharma made a nice arrangement. It was a rememberable trip with happy .."
Manisha & Deepakur (Pune, India). "I would like to give some feedback for the service that I have received his been very trustful n kind . I would love to deal with Sanjeevji again . I would recommended to friends , families n others. Also I will published in Facebook n twitter as well. 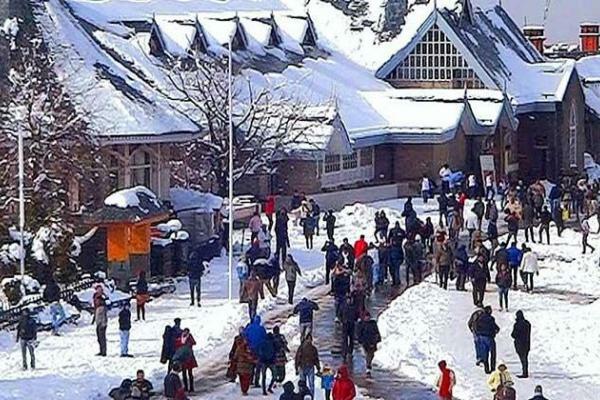 Again than you so much for you kind help n .."
"The tour to Shimla Manali was wonderful.. Overall good service provided. Special recommendations to Geetanjali Sharma for nice arrangement and Himalayan Mysteries.It was a rememberable trip with a happy .."
"The tour to Himachal was wonderful. The hotel accommodation & dinner in Silverine (Shimla), ROYAL REGENCY (Manali), hotel hong kong (Amritsar) was good. Overall good service provided. 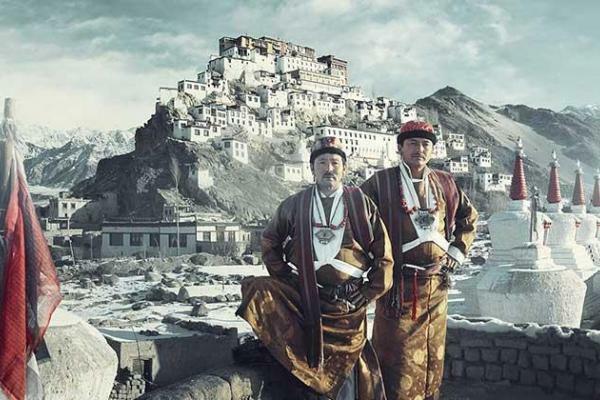 Karam Preet & Sunil made nice arrangement and Himalayan Mysteries. 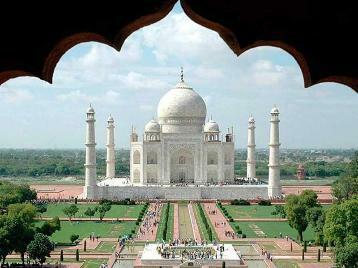 It was a rememberable trip with .."
"good tour, nice and cooperative tour guide provide. hotel also .."
"The trip was wonderful.. Overall good service provided. Varsha Chauhan offered nice arrangement and Himalayan Mysteries.It was a rememberable .."
"it was a good tour. 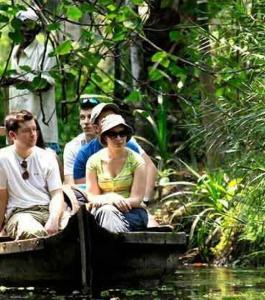 and the guide provided was good and was cooperative and very informative.the best part was the hotel jain cottage which along with me all my buddies enjoyed.overall was a best trip i had so .."
"It is a good value for money for first timers. We stayed at Jain Cottage and it was a pleasant experience. I was releived that I was interacting with a honest person as there was no gap in what was communicated/promised and what i got to see in Manali. The facilities arranged for at the hotel and .."
"If you plan for first time than Himalayan Mysterise make your tour memorable It is a good value for money for first timers. We stayed at Silverine(Shimla) & Royal Regency (Manali) and it was a pleasant experience. I was releived that I was interacting with a honest person as there was no gap in .."
"Its a previlage to that Sujata/Monica were our tour planners, ther are excellent in making my trip awesome/memorable. I really appreciate their guidance and their followup calls with the customer. 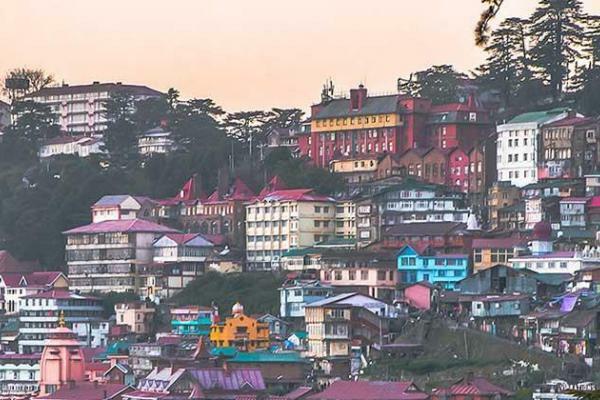 The Hotel Royal Regency was pretty nice with nice staff and the food you can take it .."
"Recently I have visited Kullu,Manali and Shimala with Himalayan Mysteries. Hotel facilities were excellent, food is awesome in package hotel (Royal Regency and silverine). 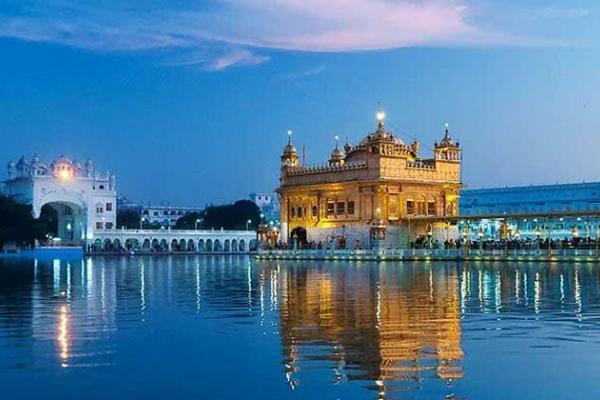 One of the most important thing about my trip that our trip manager (Karampreet Kaur) made all the arrangement so nicely that .."
"It is a good value for money for first-timers. We stayed at Jain Cottage and it was a pleasant experience. I was relieved that I was interacting with an honest person as there was no gap in what was communicated/promised and what i got to see in Manali. The facilities arranged for at the hotel and .."
"The trip was wonderful.. Overall good service provided. Varsha Chauhan for nice arrangement and Himalayan .."
"It was a wonderful travel experience all days.All days arrangements done by dem fantastic.i would like to say d special thanx to RANJANAJI .thnx to himalayan mysteris for giving us such a beaautiful .."
"The trip was wonderful. Special thanks to Sapna for nice arrangement to making my trip memorable. I really appreciate followup done by Sapna. The Hotel Royal Regency was pretty nice .."
"The trip was wonderful.. Overall good service provided.Special thanks to Himalayan Mysteries for nice arrangement and Himalayan Mysteries.Â is excellent..Thanks for the lovely .."
"thanks for give me wonderful .."
"it was a great fun on family vacation planned by tour executive ms.sapna....an awesome expeience all the way.....my special appreciation to ms.sapna esp. her follow up n a family touch given by her....keep it up!!! 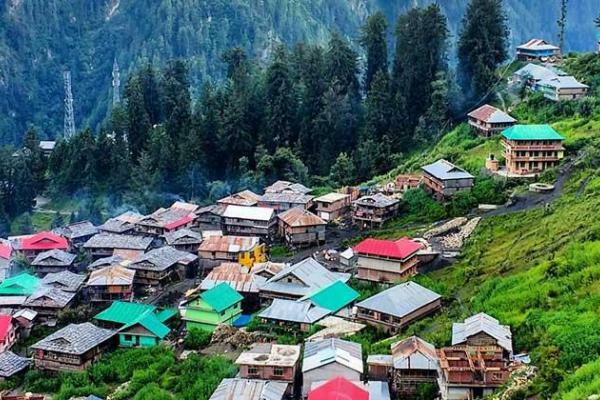 and thanks to Himalayan .."
soma singha mahato (kolkata, India) says..
"At an approachable distance from Shimla, Kullu and Manali offers wide range of ... tour package gives us an ever memorable honeymoon experience. i would like to say d special thanks to SAPNA HIMRAL .thanks to himalayan mysteris for giving us such a beautiful .."
"First of all a previlage to thank miss Kiran for her excellent and endless help/guidence they provided in making my HM trip awesome/memorable....unbeliveable . I really appreciate their guidance and continous followup calls at each stage of journey with the me. She suggest us for few hotels for us .."
"I Really apprecite dedicated followpup down By Ms Spana Himral and for arranging a lovely & memorable trip. Thanks a Ton...Himalayan .."
"My trip was owsummmmm .. and we enjoyed lot .It is a good value for money for first timers. We stayed at Summer King and it was a pleasant experience. I was releived that I was interacting with a honest person as there was no gap in what was communicated/promised and what i got to see in Manali.The .."
Gunil kumar (Bhilai, India) says..
"The trip was wonderful and I had enjyed my vacations alot with memorable .."
"The tour was just outstanding because of the help of Himalayan Mysteries. Just the food which is provided in the package was horrible rest the driver was so supportive and good natured. Hotel was nice staff was supportive. 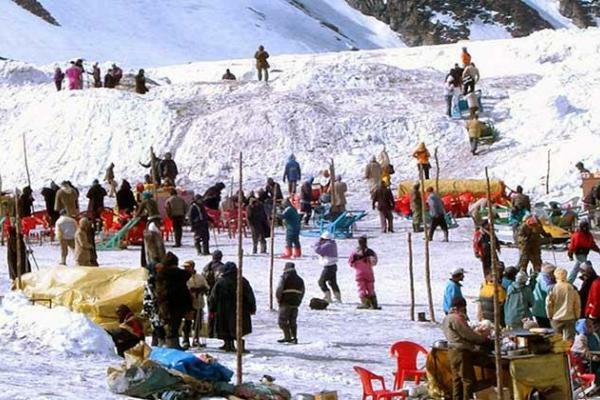 Enjoyed vacations a lot at Manali.Once again Thanks to All Himalayan .."
"I M very thankful to himalayan Tours Fr providing me very plesant & joyful trip fr shimla.i enjoyed a lot With co.of ur All staff Of hotels & taxi cab.i m also thankful to ms.neha For providing me such A wonderful & memorable tour Package. My sp.thanks To mr.nand Sharma Fr Giving me .."
"I booked my package to Kashmir from Himalayan Mysteries. Ms.Puja Chauhan did an excellent job. Complete trip was beautifully crafted by her. 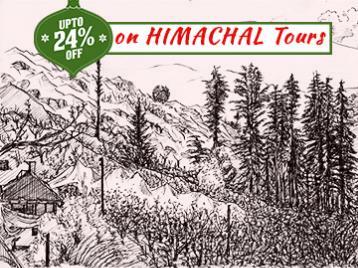 I would like to recommend to all the future travellers to choose this website for their .."
"We take this opportunity to extend our warm thanks for the wonderful himachal trip arranged by your organization, for our families From 20.7.2014 to 25.7.2014 from New Delhi to Simla - Manali-back to New Delhi. Needless to say, the arrangements made by you at each station, Shimla, Manali at the .."
"Dear Concerned, I would like to thank your customer representative Ms Pooja Verma for excellent customer services provided to us.I had my tour to Kashmir with your travels company(Himalayan Mysteries) ref my travel code (HM001726) Me and my family was very happy the was Pooja arranged and make sure .."
"It was a pleasant trip with Himalayamysteries delhi-shimla-manali-delhi visited last week.Thanks to M/s Priyanka and Their team for such arrangement and make our trip .."
"It was a great service, Specially from the tour guide ***** driver Mr Deep. Appreciate the way he guided. Please start accepting the remaining payment through credit .."
"I M very thankful to Himalayamysteries For providing me very plesant trip for shimla and manali. Ms.Mamta provided me such A wonderful & memorable Himachal tour .."
"The whole arrangements were great.. especially the hotel... Grateful for making this trip .."
"IT WAS PROMISED TO BE LEGEN WAIT FOR IT DARY AND SO IT WAS IT WAS INDEED AN AWESOME TRIP MADE MY LAST YEAR OF CLG A MEMORABLE .."
"I am very grateful to Miss. Sheetal Rathore who give me such a great & memorable tour and she did a great job. But some issue happen on the tour. Actually we were not required snow dress but car driver and their team (Already prepare for chitting) forcefully said that it's too important and .."
"It was a very memorable experience, as it was very well organised and from the time we landed at Delhi, Ms. Mamta our coordinator had sent the details of the pick-up and the same continued right through the entire package. 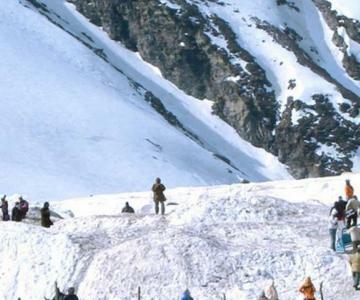 Even when there was a small confusion on the return journey (it was a .."
"Really good, It was well organized by the team of Himalayan Mistrries. specially thanks for Poojaji for time to time .."
"Himalayamysteries tour has made my honeymoon memorable & we recommend Ms Sapna Hiramal for her best .."
"Really this trip was nice organised by Himalayan mysteries for the outstanding trip. Appreciate Ms. Pooja coz she helps a lot during that trip and even she guides us in the early morning dat we never expected, Again thanks Himalayan mysteries for giving such fav trip, we ensure in future we will .."
"Great service by Himalayamysteries, they provide great service, I did not forget those days. Thanks a lot to Miss Mamta. She did very well job on our whole .."
"We have just visited to Shimla & Manali in Feb 2016 We are really very very happy because of superb service of Himalayan Mysteries My thanks to Ms. Sapana Heramal & Mr. Ram. Ms. Sapana Heramal is the one of the best staff member of HMT team. She organised our tour plan very smoothly. All .."
"The whole arrangement was superb and everything was great as per our package....the best thing about the place and hotel is their people around us was very good and soft spoken..... Himalayan Mysteries what great .."
"Staff of Himalayan mysteries (Ms. Rashmi) were very helpful and cooperative, any problem would be sorted immediately by her. the driver provided was very arrogant and hence we complained, she immediately changed the driver and vehicle also, and we got a sweet chap called Goldie as driver. 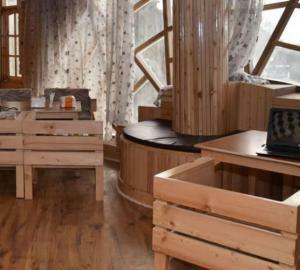 hotel .."
"Himalayan Mysteries made my Honeymoon package to Manali a memorable one... My special thanks to Sapna Himral and Mamta who designed and organized our tour plan very smoothly. I strongly Himalayan Mysteries. My little disappointment with the cab driver Rajesh who was very lazy to show us entire tour .."
"It was our second Honeymoon and the trip was well organized by Himalayn Mysteries. 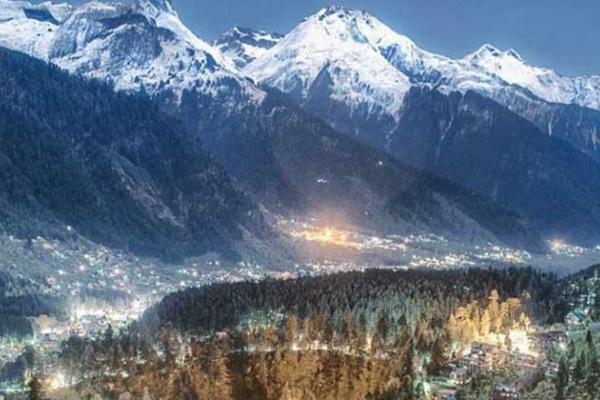 Choice of Hotel provided in Manali was really good and value for money. I & my wife is thankful to HMT&Travels for timely assistance and handling our queries politely in a very good manner. The only bug was .."
"Awesome trip arranged by Himalayan mysteries(Miss Pooja Bhardwaj). Tour ended with great memories my wife is very happy with all the facility provided to us. The hotel staff was very soft spoken & cheerful. My special wishes to miss Pooja Bhardwaj she was always there for my queries & .."
"I strongly recommend this agency for Kullu - Manali trip, especially the tour manager Manta Ranjta, who has been really helpful and informative in every possible ways. The hospitality at Hotel Royal Regency is excellent in itself with great food and other facilities. My only advice to the team is, .."
"it was a good tour. and the guide provided was good and was cooperative and very informative.the best part was the hotel Summer king which along with me all my buddies enjoyed.overall was a best trip i had so .."
"I am Ronak Patel and I have very happy to your service by Ms. Neha for all day call me to any query or problem thanks a lot and other thanks to haribhai your car driver he was very honest and good .."
"The whole arrangement was superb and everything was great as per our package....the best thing about the place and hotel is their people around us was very good and soft .."
"we travelled shimla , manali ,kulu , rohtang through HMT . it was a honeymoon trip . we were a little worried how the arrangements gonna be? but the arrangements were really awesome . The hotel at manali is the best and the ppl there are the very friendly .."
"Dear Sir/Madam, A VERY HAPPY NEW YEAR TO THE ENTIRE TEAM OF HIMALAYAN MYSTERIES. 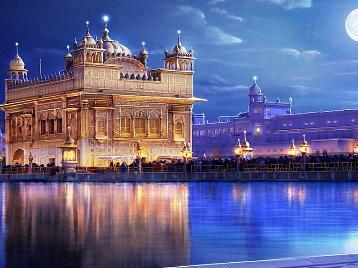 First of all let me Thank you and your team for arranging a fantastic package of 9 nights and ten days tour for me. It was awesome experience all the way. Right from pick up at Amritsar (24th Dec '2015)and all the .."
"Dear Sapna, We would like to thank you (Ms. Sapna) for everything for being so cooperateive and helpful for our tour ( Kashmir ). It was amazing and beautiful place &one of the best place to visit. We really had great time and it was nice arragments as well as transportation. Thank you so much. 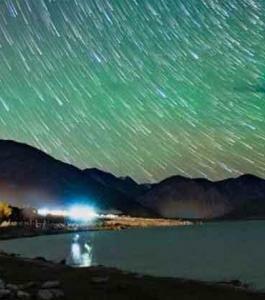 .."
"Message: Himalayan mysteries :D, the name itself has so much excitement and is mystic. Well well where do I start from. Here's a start to an amazing journey. One fine day we decide to visit places in North and consult a friend who suggested to contact Himalayan Mysteries. We get in touch with .."
"Message: Hi i am from Mumbai..I had taken Shimla,Kulu-Manali honeymoon package from 9th May-16th May through u r company and it was very nice journey..i will never forget in my whole life thanks team..specially thanks to ms.kiran thakur for u r support...i will recommend to all my friends to take .."
"Message: Dear Ritika, I am thankful to you for making the arrangement for accommodation at various places for me and my family during our vacation trip to Himachal Pradesh .The arrangement for accommodation, communication to were to our entire satisfaction . Next moth my friend Balaji Iyengar is .."
"Message: I would like to express my sincere thanks to Ms. Sapna. U was awesome and made our tour unforgettable. You helped us in every possible way. We enjoyed a lot because of the efforts taken by these u to entertain us. Hat's Off to Sapna. 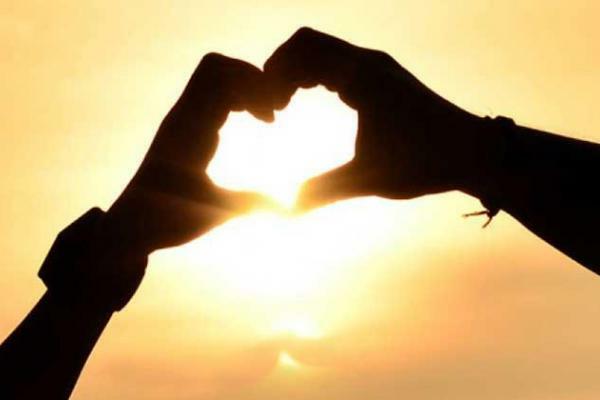 Myself and my wife are fully satisfied about service .."
"Message: Dear Pooja, I am writing to thank you on the behalf of Me and my wife and inform you of the wonderful first rate customer service I have received during my honeymoon tour to Manali. As my plans were not finalnalized, you and your team made it happened even at the last movement. 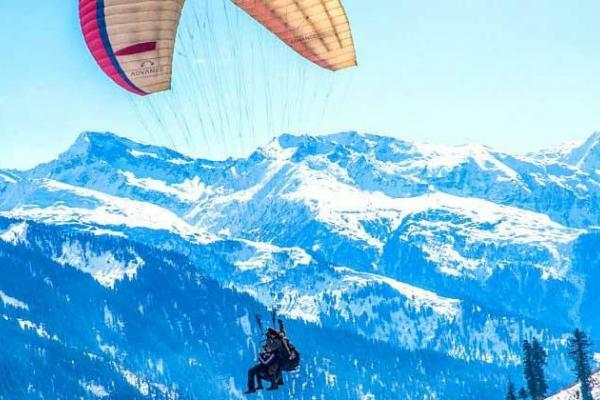 This is .."
"Had an awesome experience Himachal Tours, Himalayan Mysteries helped me explore the beautiful hill station in the Himalayas with comfort and joy,... .."